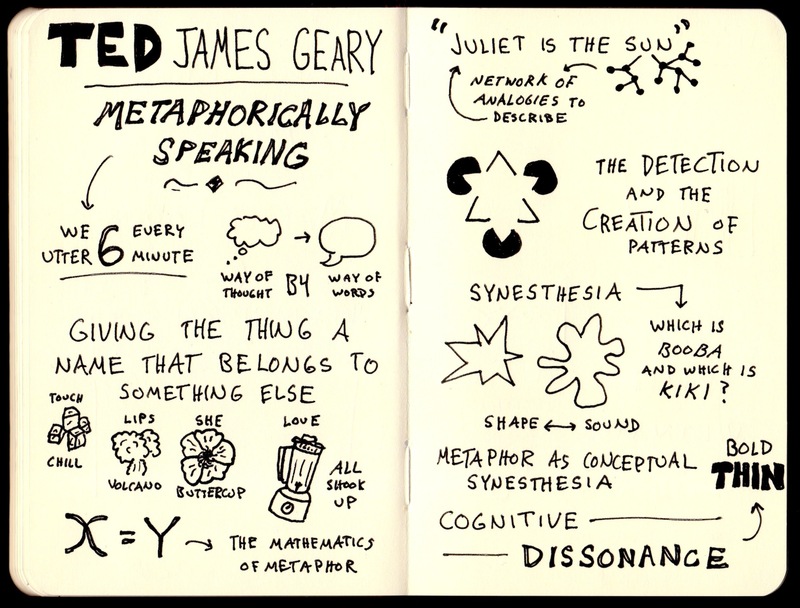 In his TED talk Metaphorically Speaking, James Geary breaks down metaphors to explain their mechanics and discuss why they matter. 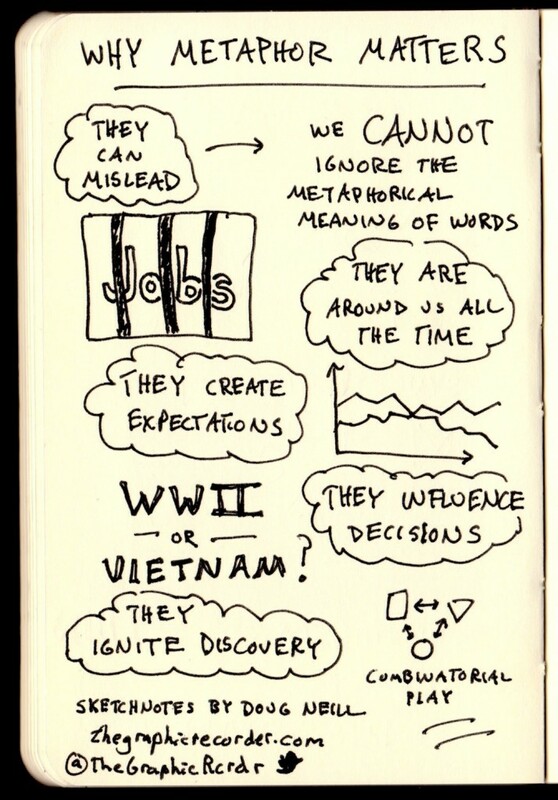 Below you will find some sketchnotes I took while listening to his talk. I think that what is most interesting about the topic of metaphors is how prevalent they are (six every minute!) yet how easily they go unnoticed and unquestioned. Considering how much they shape our view of the world, I agree with Geary that they really do matter and that it is worth paying attention to how we use them. If you’re interested in delving into this topic further, check out Geary’s book on metaphors and how they shape the way we see the world.